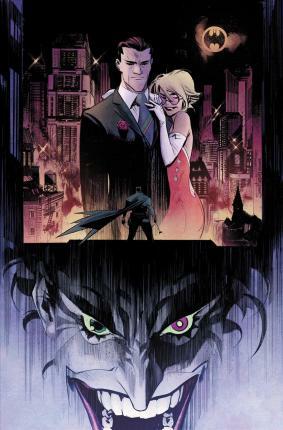 From visionary creator Sean Murphy (PUNK ROCK JESUS, AMERICAN VAMPIRE) comes this new graphic novel featuring a radical take on the greatest rivalry in comics in BATMAN/JOKER: WHITE KNIGHT! After years of epic battles, the Dark Knight finally finds a way to cure the twisted mind of his arch-enemy. The Joker...is now sane. The Clown Prince of Crime has now changed his ways, fighting for good in Gotham City, alongside Batman! However, will curing his greatest foe cost him his mind? Writer/artist Sean Murphy takes the helm of this Batman/Joker story like no one else could, delivering an alternative examination of the relationship between the greatest rivals in the DC Universe, exploring the darkest corners of justice and madness. This newest graphic novel is the latest in great standalone stories from DC Comics. Collects issues #1-7.